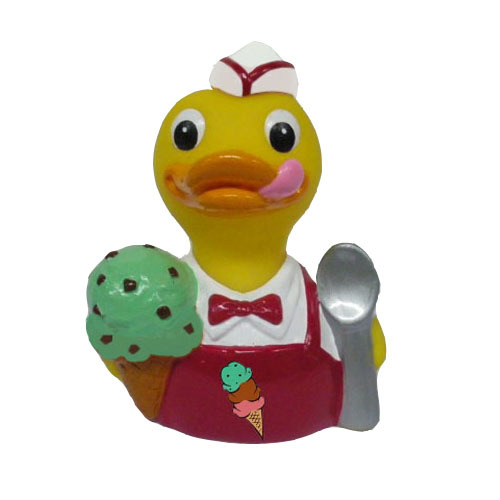 Our new ice cream duck is just off the charts cute. If you love rubber ducks, ice cream, and chocolate, you have found your perfect companion. Holding a mint chocolate chip ice cream cone, he makes the perfect gift. Chip comes in a gorgeous ice cream themed custom gift box. What could be more festive!